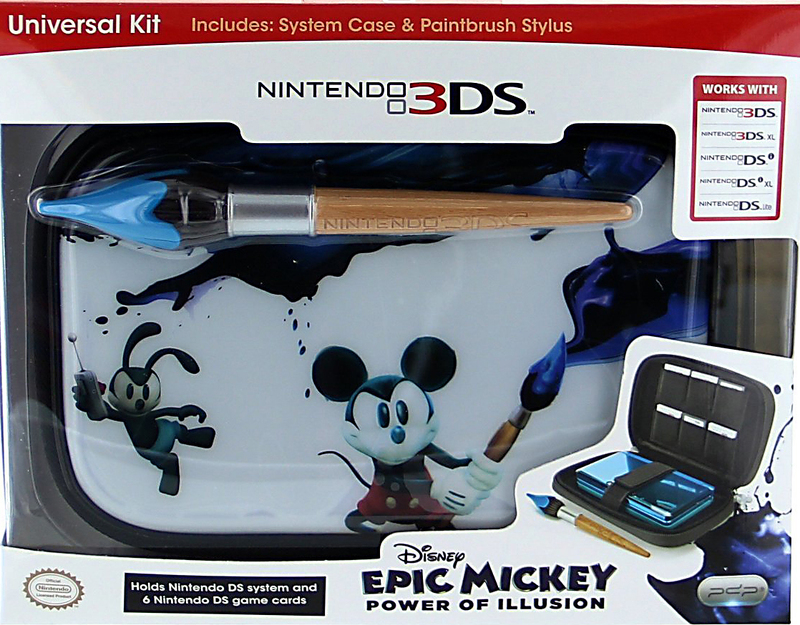 Accessorise your Nintendo handheld gaming system with the Disney Epic Mickey Power of IIlusion themed Universal Kit. 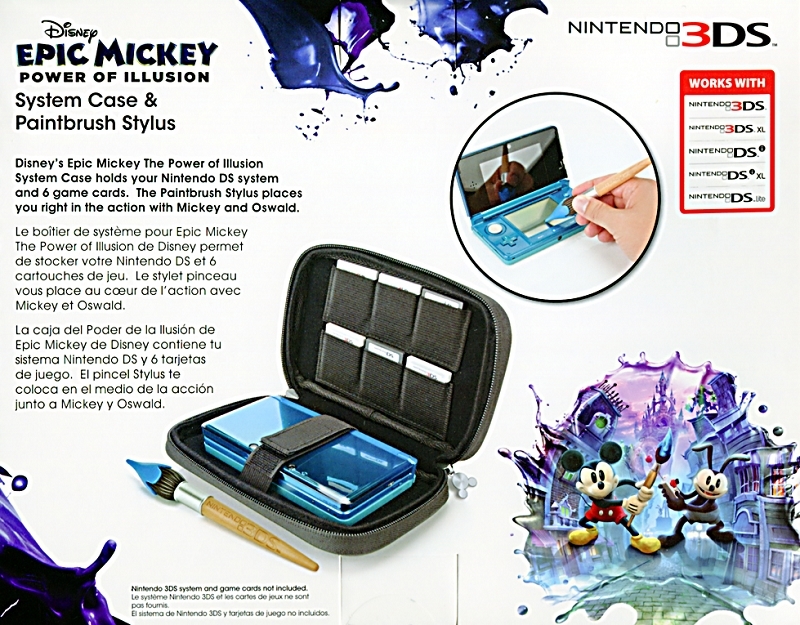 You can store your Nintendo handheld system in a cute Mickey styled case and tap away in style with a unique Paintbrush Stylus. Paintbrush stylus has a nice weight to it compared to an original stylus and should help you achieve your best gaming performance. * Universal Kit Includes System Case & Paintbrush Stylus: Compatible with all Nintendo DS systems including the original Nintendo DS system right up to the Nintendo 3DS XL and the system case will strap and hold your system in snugly. Brand: Performance Designed Products (PDP Official Nintendo Licensed Product): US Release. Case Material: (Polyester 51%, Nylon 17%, PU 15%, PET 10%, PE, Metal & Plastic). Storage Capacity: 1 Nintendo handheld system and at least 6 Nintendo game cards. So happy to find this DS case for my son. His was recently damaged, and it was very difficult to find a replacement as they are no longer being made. He is very happy with his new case, and loves the fact he has 2 paintbrush styluses to use. I also have to say we received excellent service from VG Games, as this item was shipped to the United States promptly, customer service and communication has been excellent!